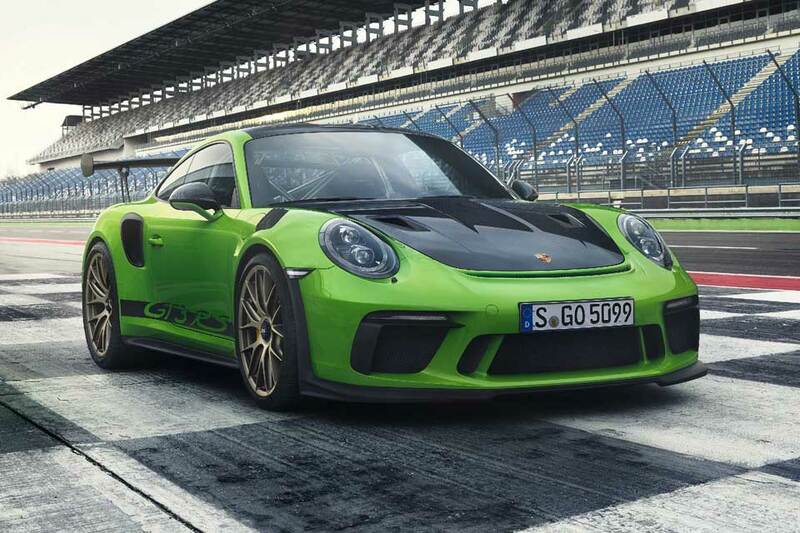 Later at Geneva today, Porsche will be taking the wrap off the most powerful road-legal high-performance sports car with a naturally aspirated (NA) engine, the new Porsche 911 GT3 RS. 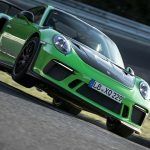 The 2018 911 GT3 RS is expected to premiere on March 6, 2018, at 9:20AM (CET). Expect nothing less than 520 angry horses – 20 HP more over its predecessor, and 470 Nm (347 lb-ft) from its 4L six-cylinder naturally-aspirated engine, which is paired to a specially calibrated seven-speed PDK to enable this monster of the road to rocket from zero to 62 miles an hour (100 km/h) in mere 3.2 seconds and sending it on its way to 312 km/h (about 193 miles an hour). 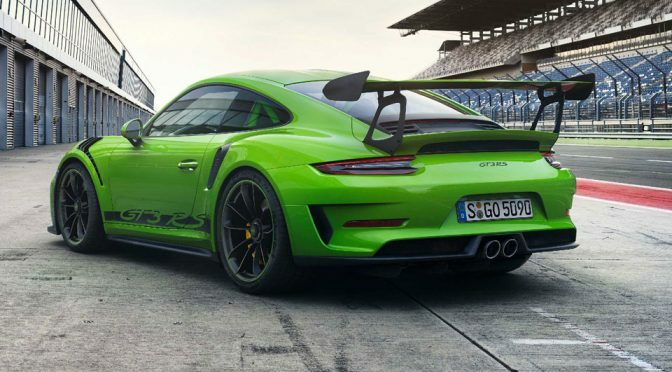 The Porsche 911 GT3 RS is dressed in an aerodynamically-tuned wide, weight-optimized body, coupled with a classic rigid rear wing on a new lightweight rear lid and it rolls on 20-inch lightweight wheels, wrapped in newly developed 265/35 sports tires at the front, while the rear is slapped with 21-inch wheels shod with 325/30 tires. 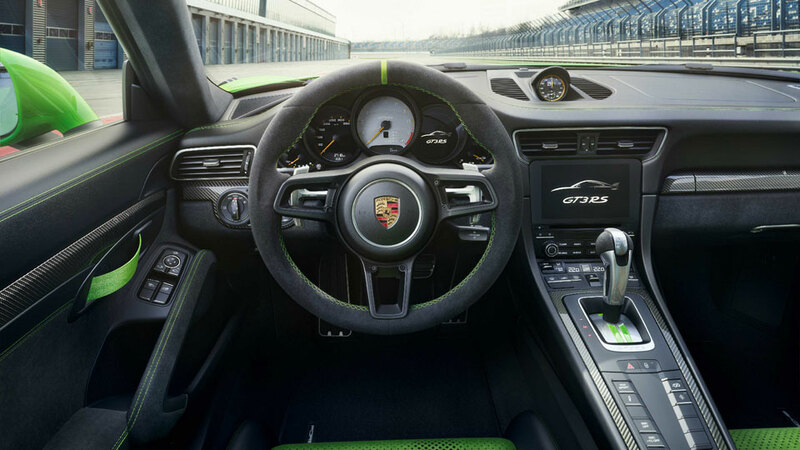 In addition, all wheels are central-locking type as a proper race car should, and also, it has rear steering with sports setup and dynamic engine mounts. 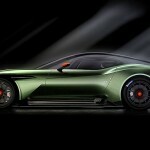 Basically, everything about this car beckons you to take it to the track. 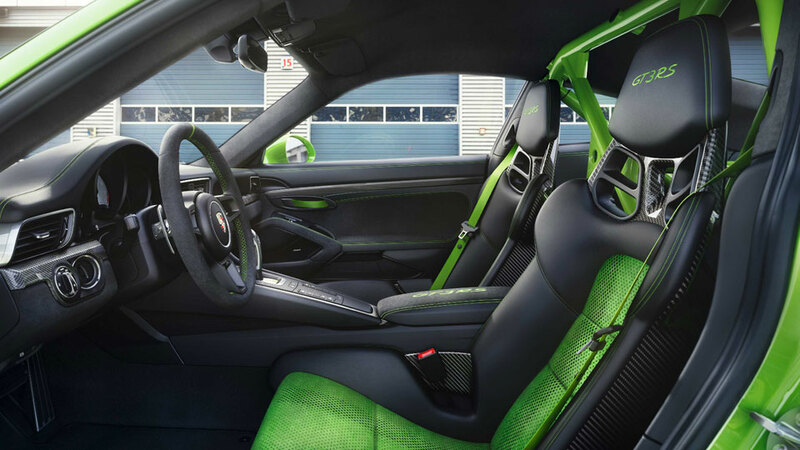 Inside, driver will be greeted with a racing-inspired interior, complete with carbon fiber full bucket seats and lightweight door panels with storage nets and opening loops with reduced sound adsorption. Furthermore, Porsche Clubsport package is available to GT sports cars buyers at no extra cost and if chosen, it will see the cabin getting a roll-over bar, a manual fire extinguisher, preparation for a battery disconnect switch, as well as a six-point harness. 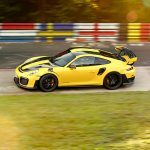 As if those aren’t enough, Porsche is also offering an optional Weissach package from Porsche motorsport department that will see the car’s heft being reduced to just 1,430 kilograms (around 3,152 lbs) with additional carbon components for the chassis, interior and exterior, and optional magnesium wheels. 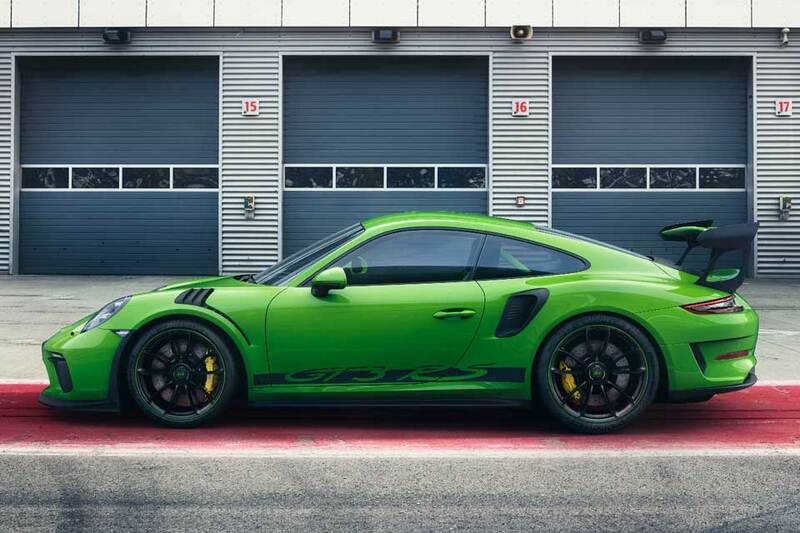 The 2018 911 GT3 RS is available to order as we speak with official availability, in Germany, starting mid-April 2018. Prices start at €195,137 including VAT. Ouch. 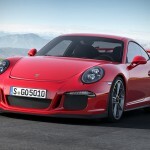 All images courtesy of Porsche AG.